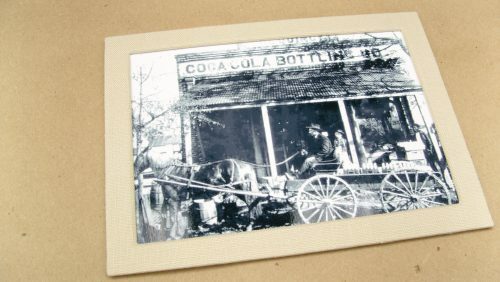 This special project features vintage items from a Coca-Cola bottling company. 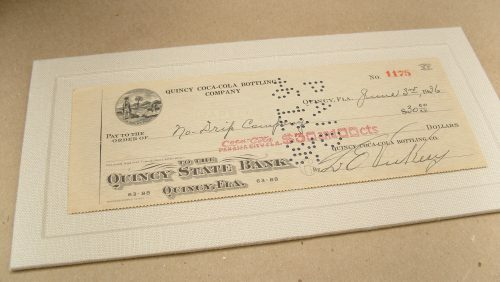 a cancelled check from 1936, and a collection of bottles. 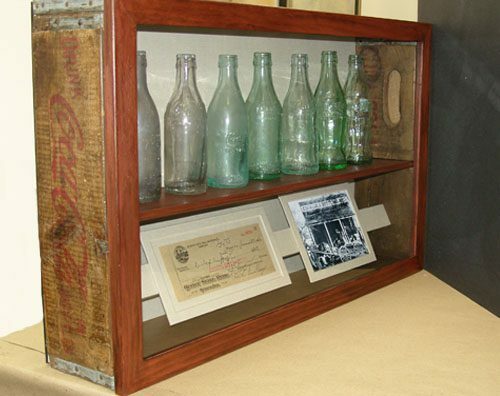 He asked us to use these family heirlooms to create a cohesive display for his home. 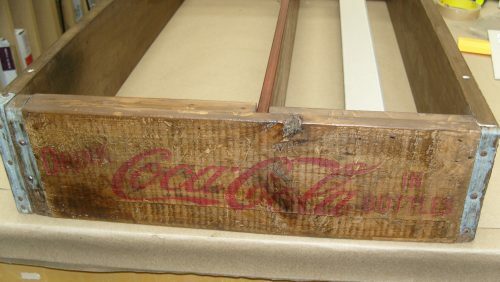 So we sourced this vintage bottle crate. 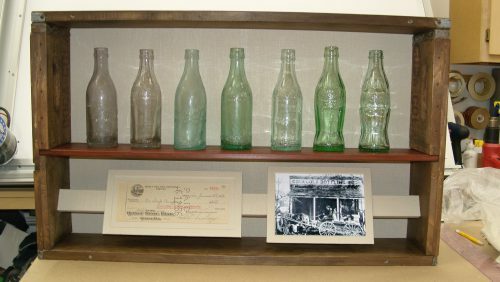 After a little repurposing, we had the proper size and a shelf to line the bottles up from oldest to newest, showing the evolution in size and shape of the Coca-Cola bottle from this bottling company over the years. So all that was left was to mount the remaining items and then finish the piece off with glass. This custom shadow box turned out beautifully and makes for a very special conversation piece in our happy client’s home.